Watching a baby making its first attempt at standing up after the initial stages of crawling, the parents derive much happiness. They are pleased with the extra nourishment they provided the baby, which is clearly indicated in the healthy muscles and limbs. The parents are thrilled when a child begins to walk and think that a chubby and healthy child is a great gift to them. They are not the least concerned about the child being classed as obese. The World Health Organization (WHO) had classified the obese or overweight children as being due to accumulation of fat in an unusual manner in children creating a danger in the health of children. Obesity or overweight was significantly observed up to recent times in developed countries. During the past few decades the prevalence of Obesity in children had risen greatly in Sri Lanka too. Obesity in childhood causes a wide range of serious complications, and increases the risk of premature illness and death in later life, raising public concerns. Nutritionists are of the view that 10 percent of the preschool and primary school children of urban areas are prone to be to be obese or overweight. Out of these children many belong to the affluent and upper middle class families. Results of research have provided new insights into the physiological basis of body weight regulations. The fundamental cause of childhood overweight and obesity is an energy imbalance between calories consumed and calories expended. Global increases in childhood obesity are attributable to a number of factors including, intake of energy- dense foods that are high in fat and sugars but low in vitamins, minerals and other healthy and other nutrients. For example consumption of sausages, meat balls, burghers and pizzas and the intake of sugary drinks. A tendency towards decreased physical activity levels due to the increasingly sedentary nature of many forms of recreation times. Long hours at the computers engaging in video games avoiding any type of outdoor sports activities and the increasing urbanization had led to the increasing prevalence of child obesity. Many questions had been raised about the reason for so many studies on child obesity. 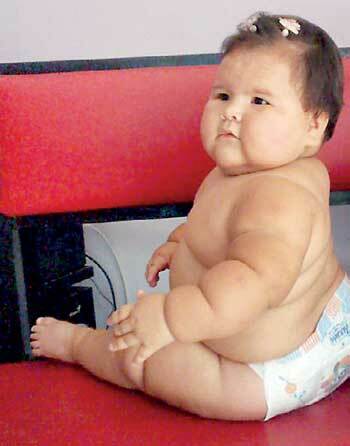 It is because child obesity is considered as one of the most serious public health challenges of the 21st century. The problem is global and is steadily affecting many low and middle income countries like Sri Lanka, particularly in urban settings. The overweight and obese children are likely to stay obese into adulthood and more likely to develop non-communicable diseases like diabetes and cardiovascular diseases at a younger age. Childhood obesity has been associated with diabetes, the early onset of metabolic syndrome, sub clinical inflammation, dyslipidemia, coronary artery diseases, and adulthood obesity. Unlike most adults, children and adolescents cannot choose the environment in which they live or the food they eat. They also have a limited ability to understand the long-term consequences of their behaviour. They therefore require special attention when fighting the obesity epidemic. Long hours at the computers engaging in video games avoiding any type of outdoor sports activities and the increasing urbanization had led to the increasing prevalence of child obesity. In Sri Lanka too with the requirement of both parents having to earn, mothers no longer have the time to prepare a proper balanced diet for the children. Therefore it has become a frequent sight to see parents at fast food outlets, getting their children the food they require. However, most of these fast food contain additives and fats and also high levels of sugar and salts, which contribute to the obesity in children, which also results in many complications later in life. In addition regular physical activity through parental initiative and social support interventions can be considered also as important strategies in managing childhood obesity. Physical activity as defined by the WHO is the bodily movement produced by skeletal muscles that require energy expenditure. Physical activity includes exercise as well as other activities, which involve bodily movements and are done as part of playing, working, active transportation, house chores and recreational activities. A few years ago children did not have the kind of computer games and gadgets, resulting neighborhood groups coming together and participating in play. However, with the advancement of technology children are more addicted to their computer games so that outdoor play or physical activity like even cycling, becoming almost redundant. Adequate sleep is also necessary as been awake in long hours of the night causes fatigue and loss of interest in studies. The parents should be always cautious about the behavior of their children when growing up and any unusual pattern in their daily lives should have their concern and specialist medical treatment obtained.